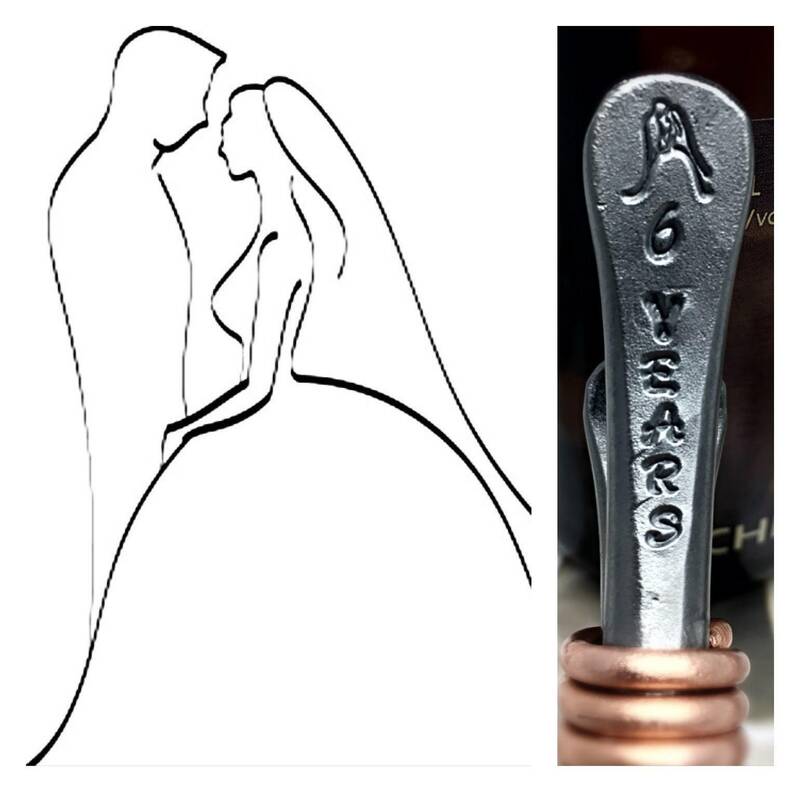 Looking for the perfect gift for your loved one on your 6th wedding anniversary ?... 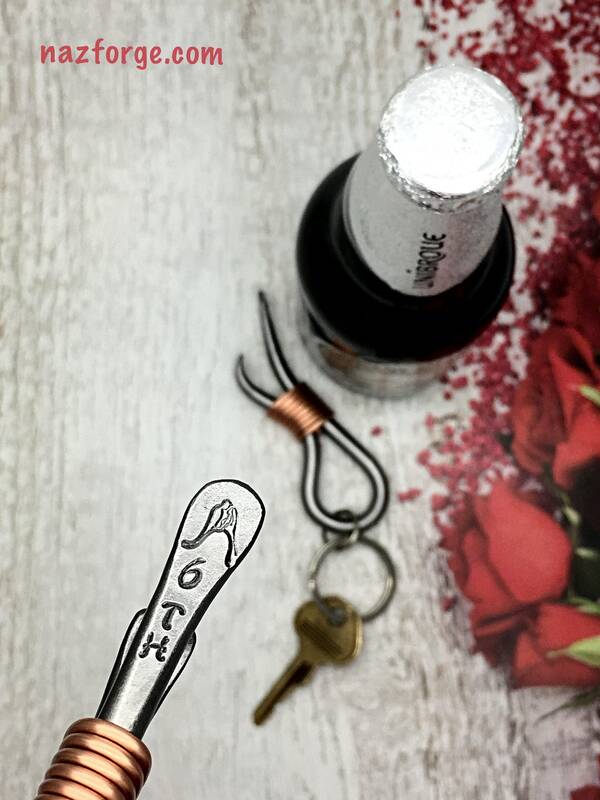 You're at the right place !... 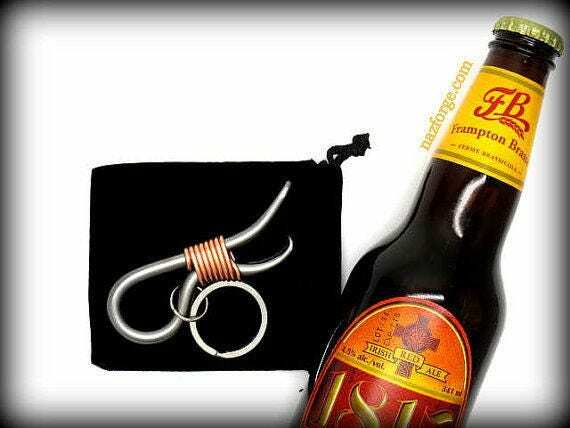 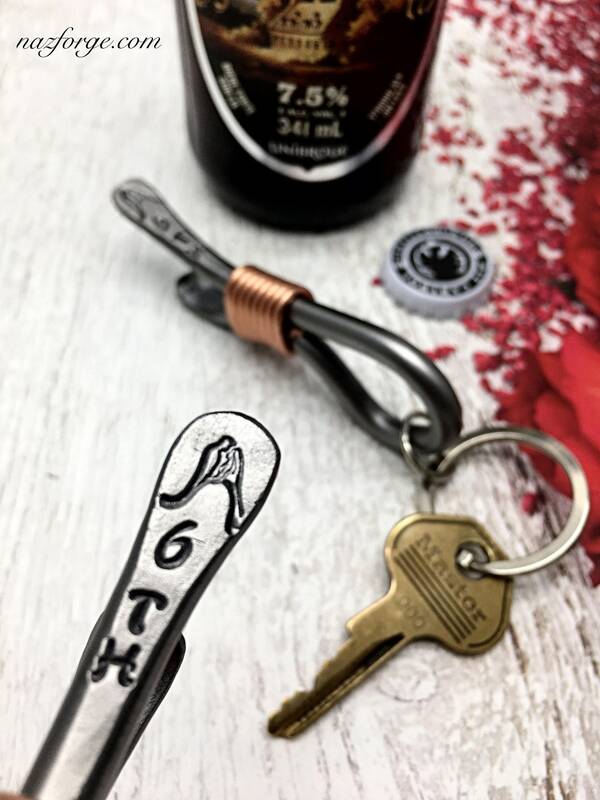 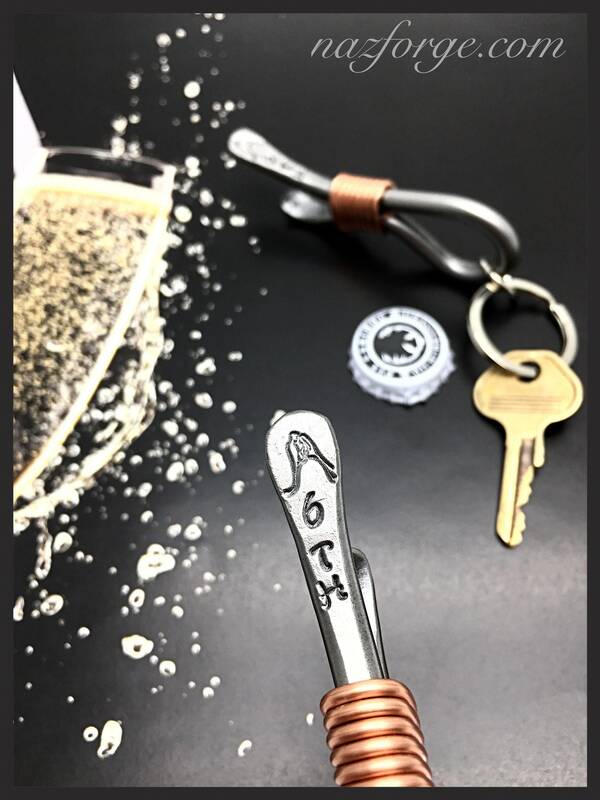 This is a hand made keychain bottle opener that is personalized with the 6th year wedding theme made of "iron"... this item will last a lifetime and will be handed down for generations ! 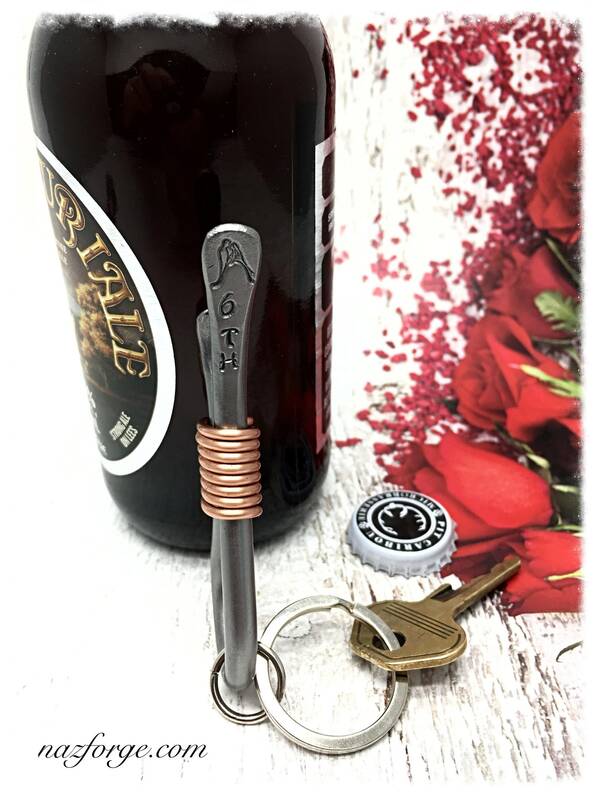 Hand made and forged in the same way as my original personalized keychain bottle openers, these are already stamped with the "Bride & Groom Symbol" and "6th" and ready to ship. 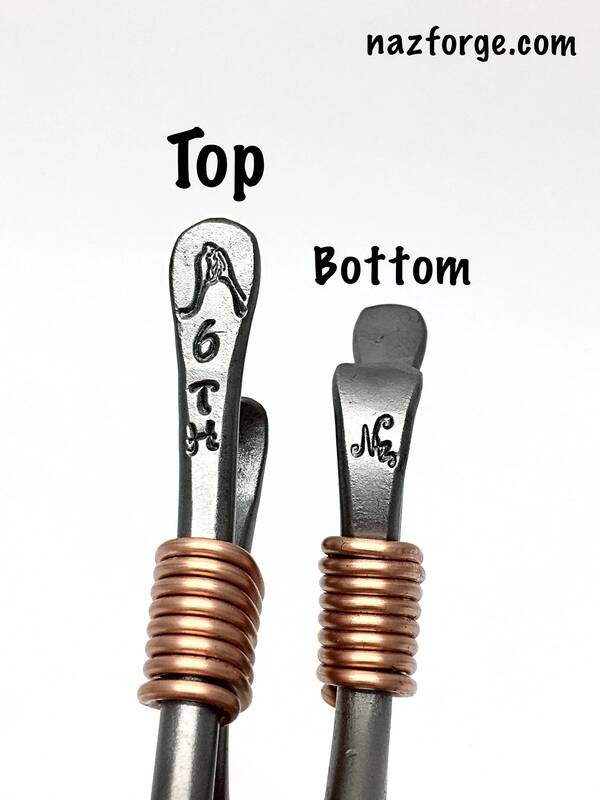 (Each one is stamped with my maker's mark "Naz" on the bottom to certify authenticity from the original designer). 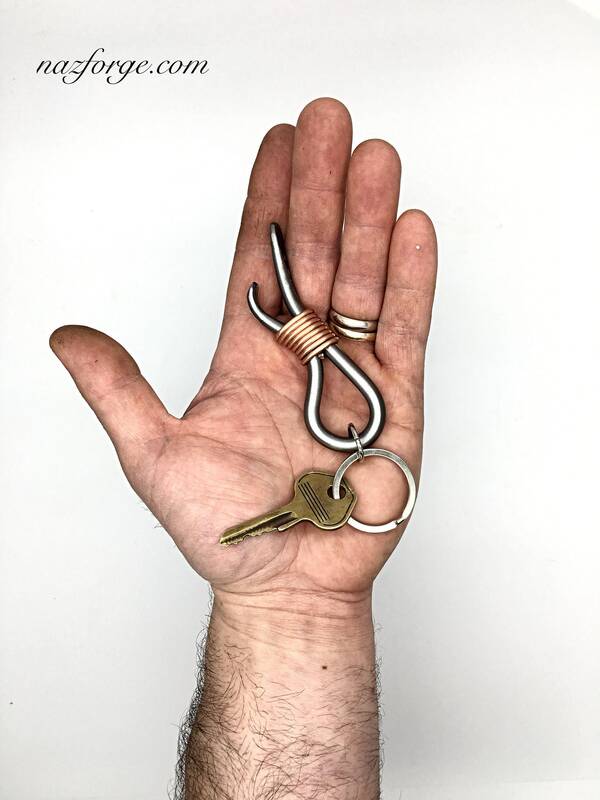 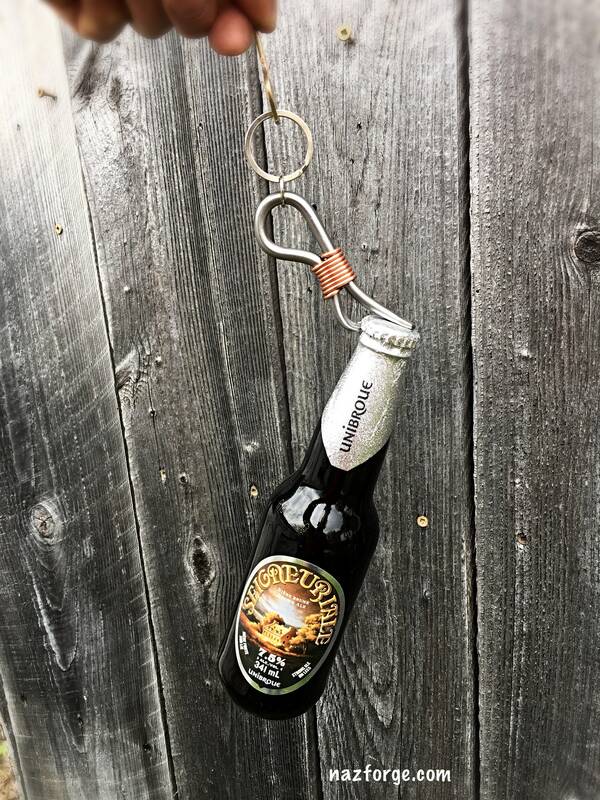 This hand forged keychaiun bottle opener shows off a decorative copper wrap on the handle. 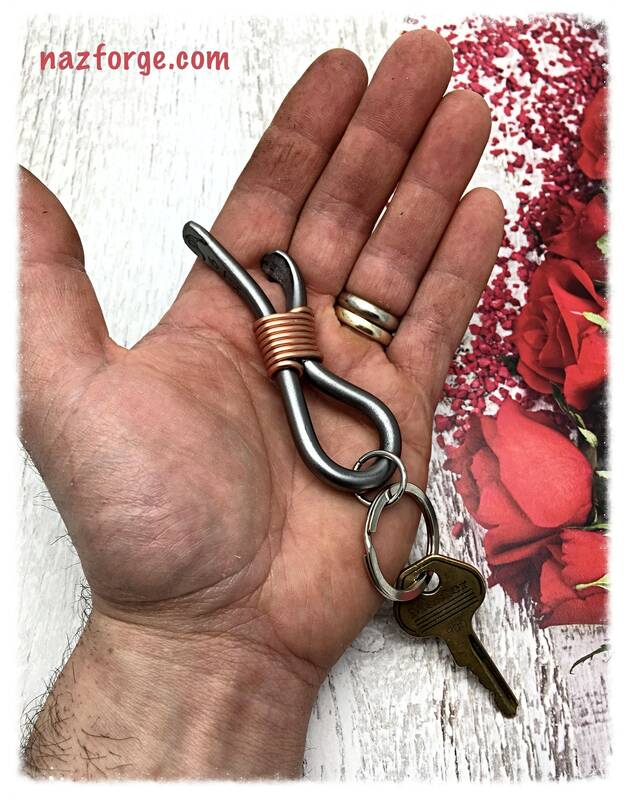 Total lenght is approximately 3-1/2".